Like the enormous herds wild of bison that once thundered across the west, in coming years the forests of Yellowstone may, too, become few and far between. That’s according to the new study The Coming Climate: Ecological Impacts of Climate Change On Teton County, commissioned by the Chartour Institute. Corinna Riginos is a research ecologist and co- authored the report. She tells Wyoming Public Radio’s Caroline Ballard the data itself isn’t new – but they’re using it to make predictions about what could happen to the ecosystem and economy in Northwestern Wyoming. 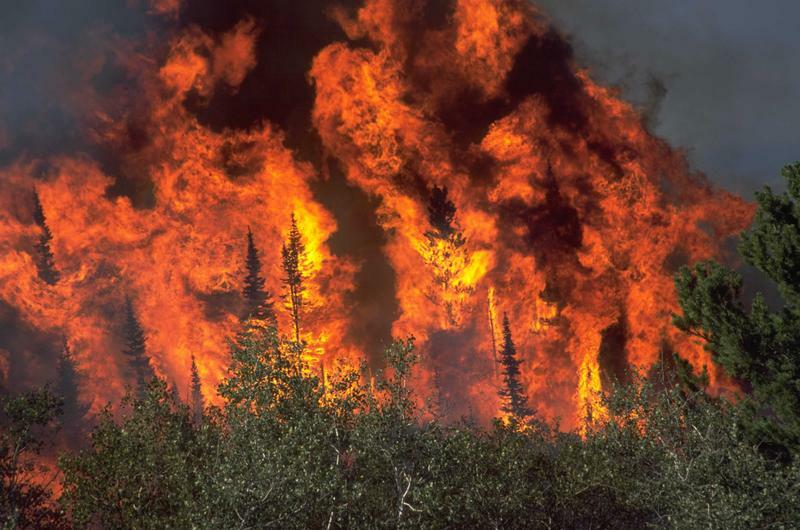 With wildfires becoming larger and more expensive every year, the federal government is proposing new ways to fund fighting them. Interior Secretary Sally Jewell and Agriculture Secretary Tom Vilsack said in a press conference Tuesday that even though $50 million more has been budgeted this year than last year for wildfires, they’re expecting a shortfall of up to a $1.5 billion if wildfires rage out of control in California and in the northwest like they did last year. Vilsack says wildfire management has exceeded its budget in half of the last 14 fire seasons. Wyoming's two U.S. senators are getting behind a new effort to give Governors more power over the EPA. The reason is simple. It's no secret the EPA has its sights set on the nation's traditional energy sector. In 2012, 39% of the nation's carbon emissions came from either coal, oil or natural gas fired power plants. There's only about 2500 of them nationwide, and the EPA is demanding they cut their emissions or it will have them shuttered. Wyoming's junior Senator John Barrasso says the EPA is forcing the energy industry to make terrible business decisions. 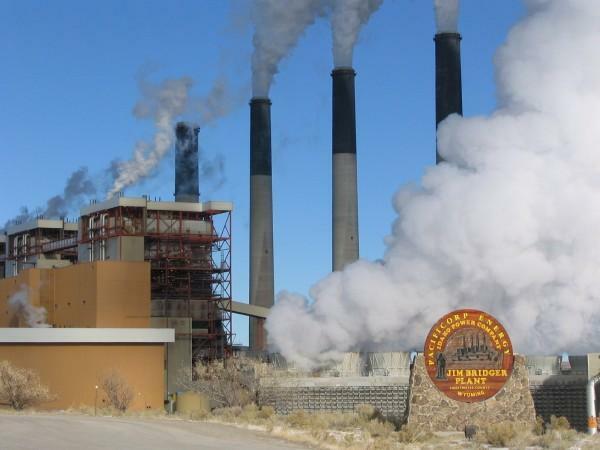 Citing recent decisions by financial companies like Bank of America to withdraw funding from coal operations, Governor Matt Mead says Wyoming needs to innovate in order to stay an energy leader. During his keynote address at the Wyoming Business Report's Energy Summit, Mead said that he has and will continue to fight against federal regulations, but added that more will be needed. Just over half of people in Wyoming believe the climate is changing, according to a new study from the Yale Project on Climate Change Communication. 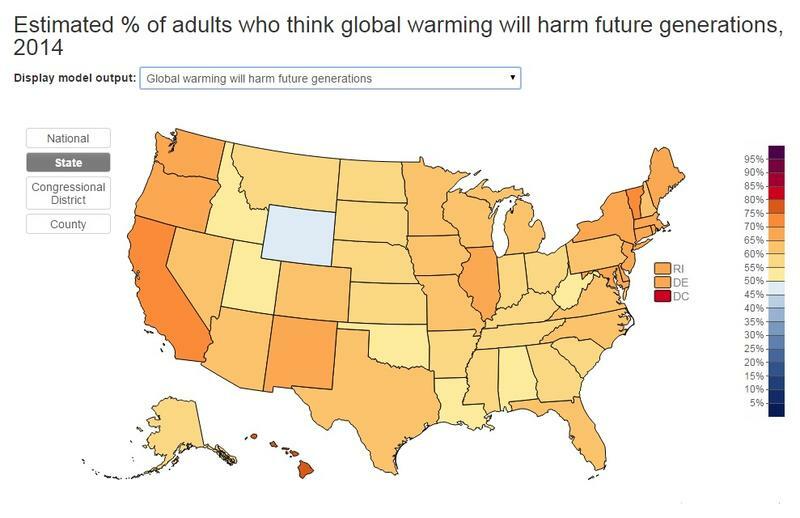 The study examines climate change beliefs on a county and state level, including whether global warming is caused by humans, whether it will harm future generations and whether there should be policies in place to curb carbon emissions.